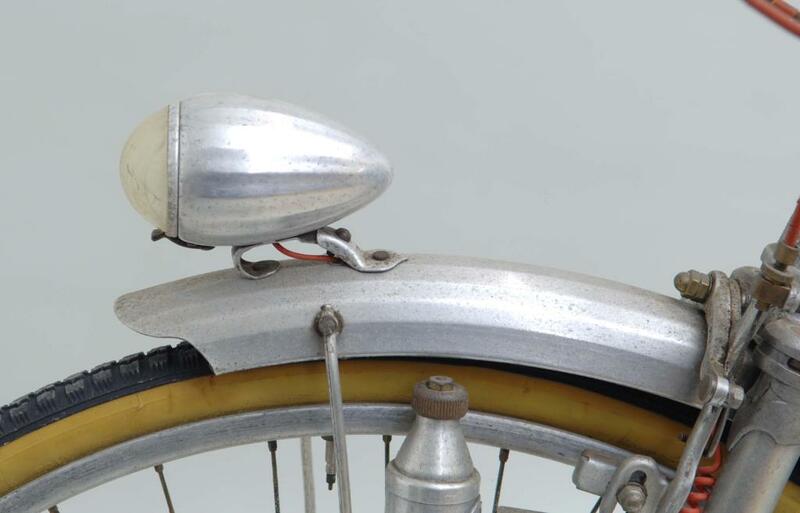 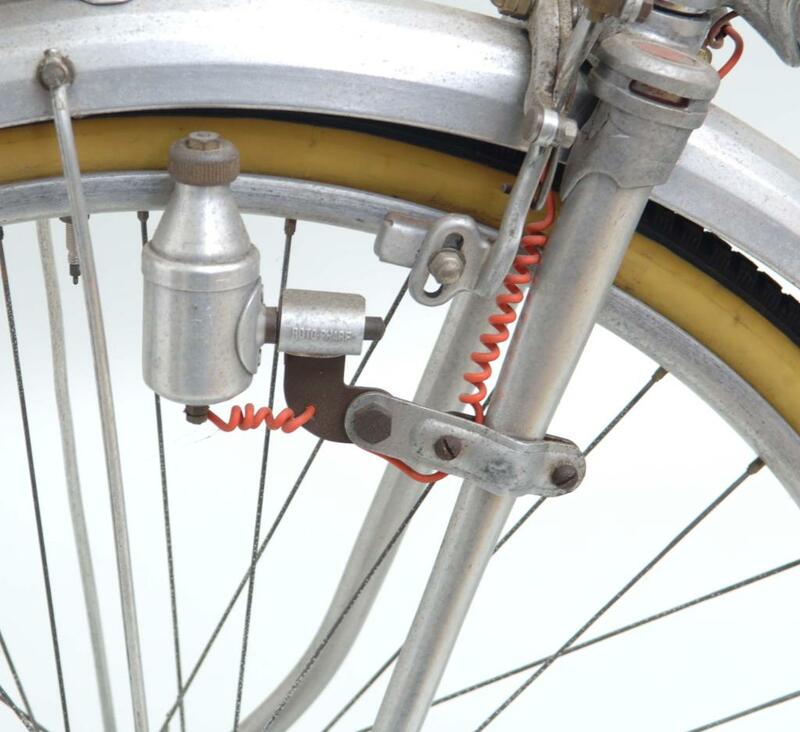 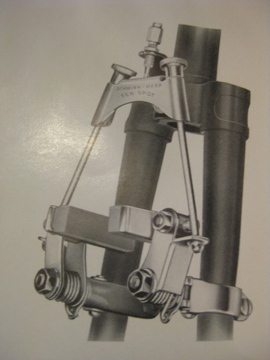 Very unique brake display to show the newly introduced Schwinn Webb brakes(1937-1938). 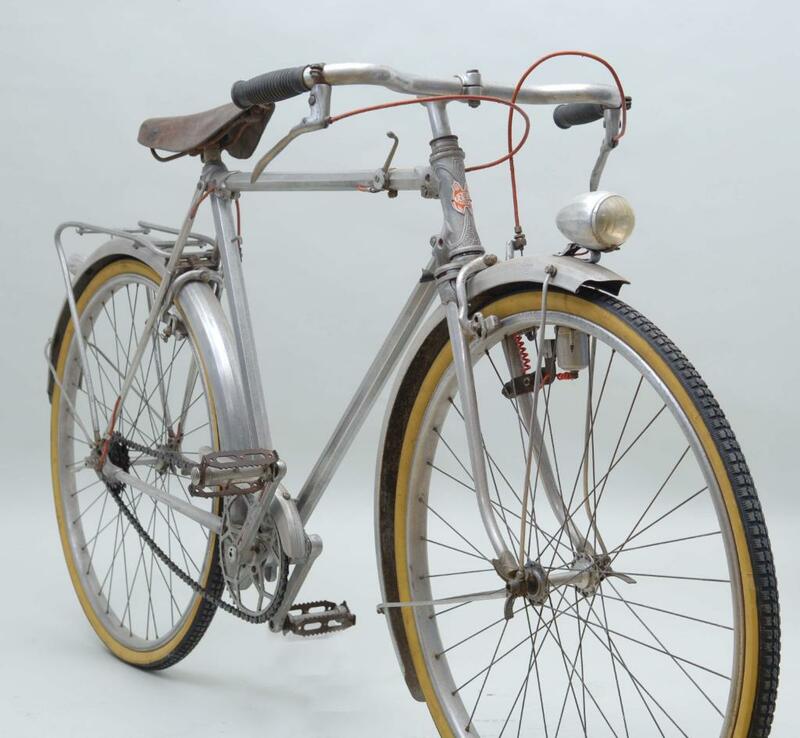 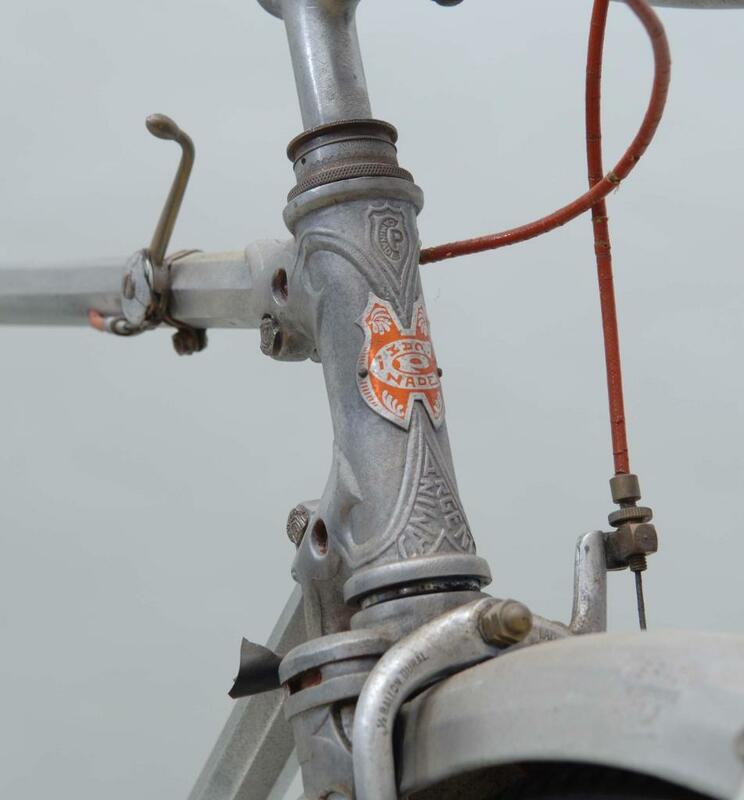 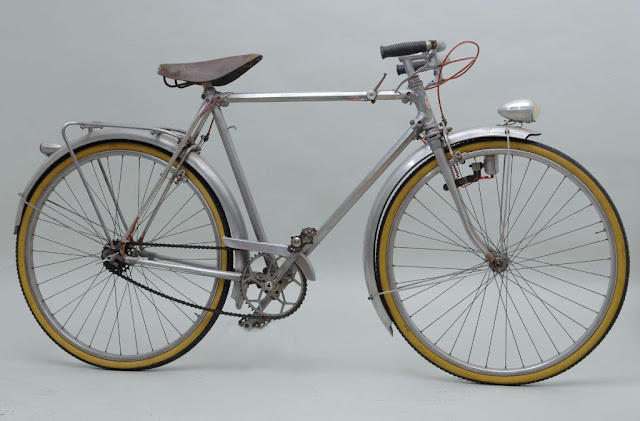 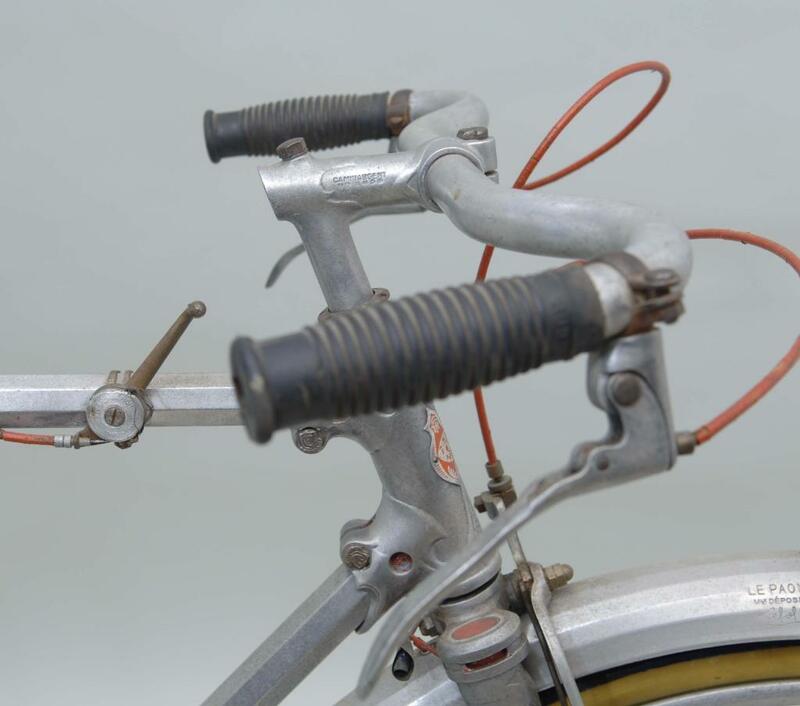 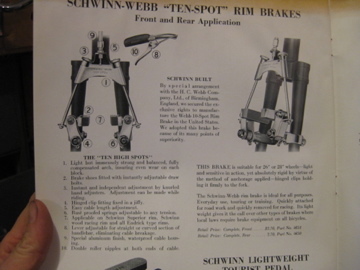 I have not done much research other than the Schwinn catalog, but Webb was British components manufacturer. 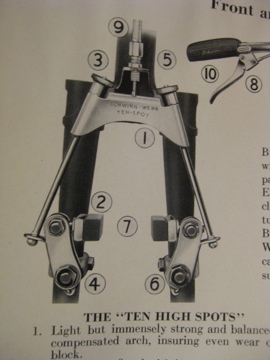 They were best known for their pedals. 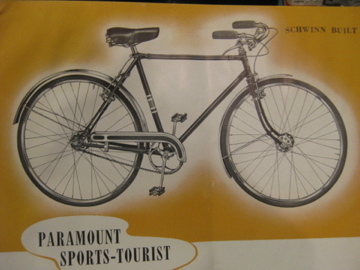 Equipped on the prewar Paramount Tourist. 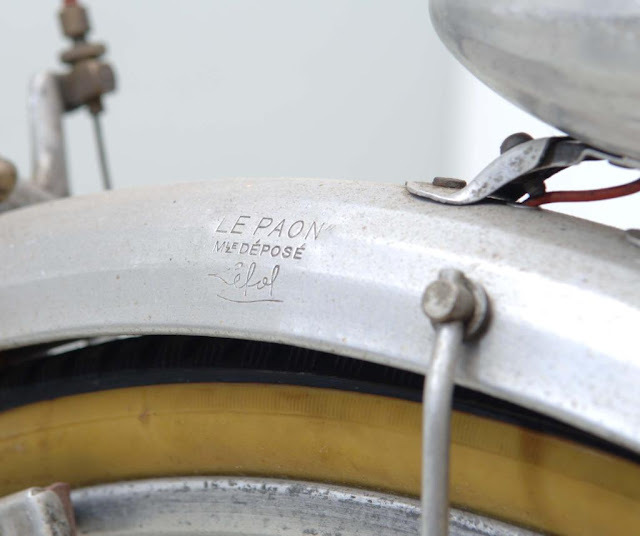 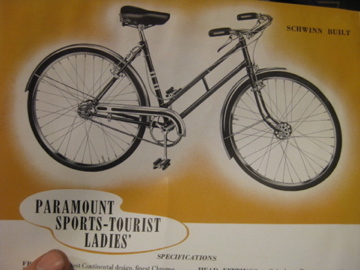 I personally own the original ink drawing of the Paramount Sports-Tourist Ladies' bicycle. 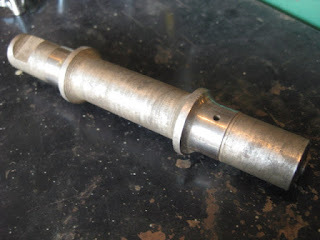 See it here on this blog posting. 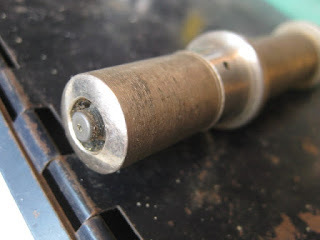 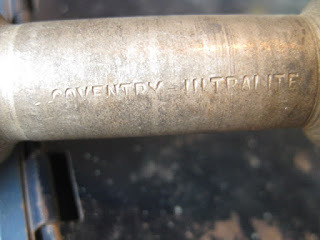 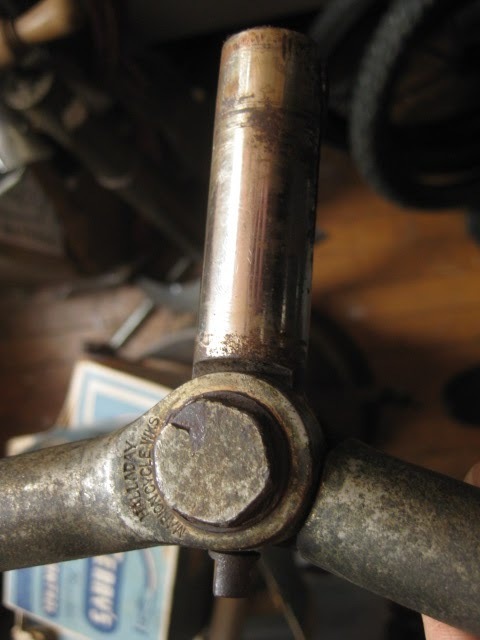 Coventry(uk) Ultralite cottered bottom bracket axle has grease fittings on either end of the spindle and a hole at both bearing races so grease grease can be injected into the bottom bracket without disassembling. 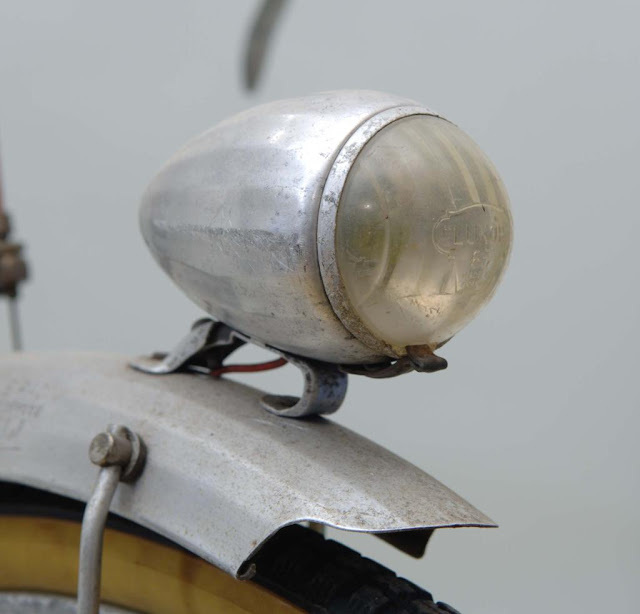 One could also use lightweight oil, as well. 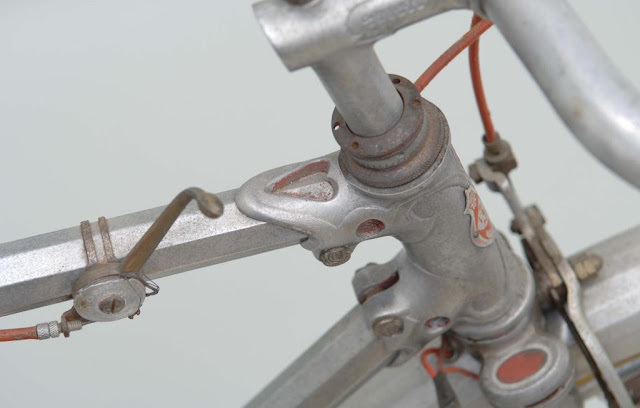 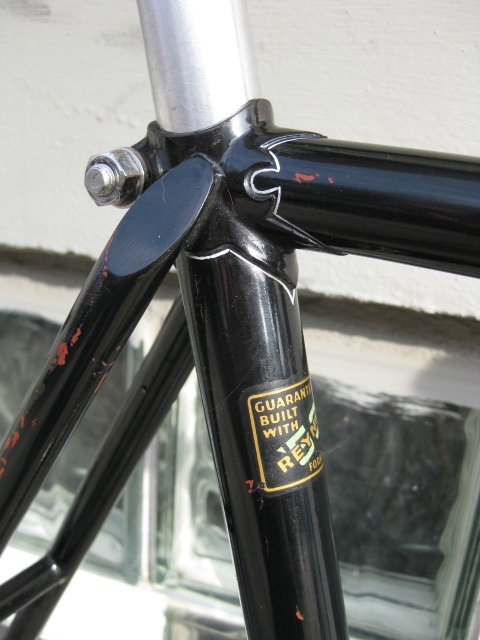 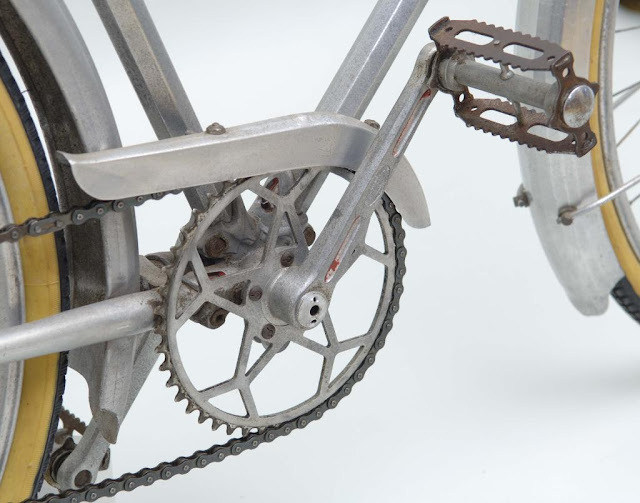 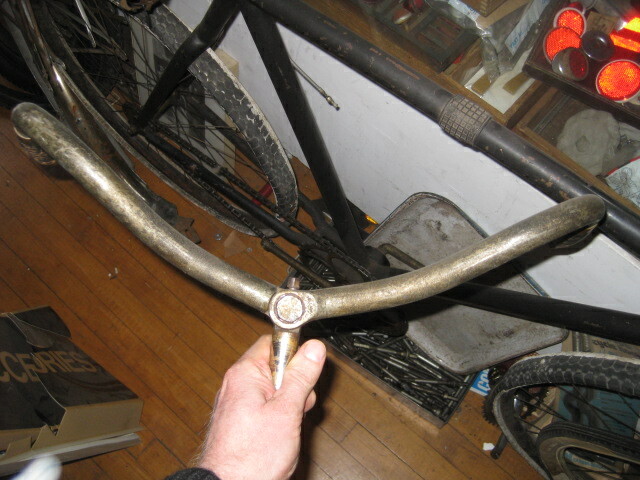 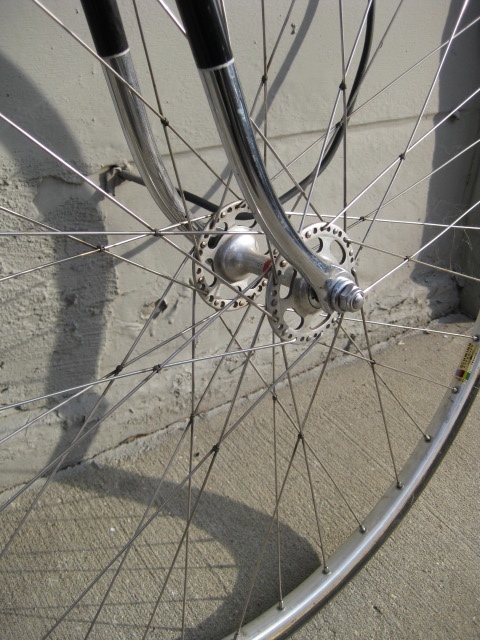 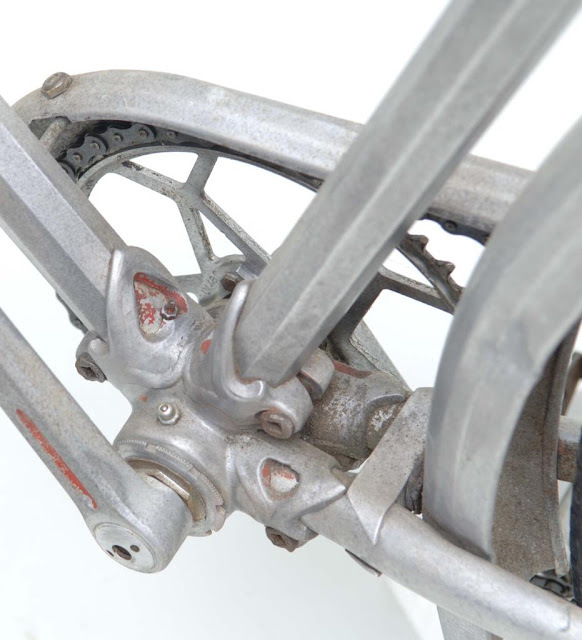 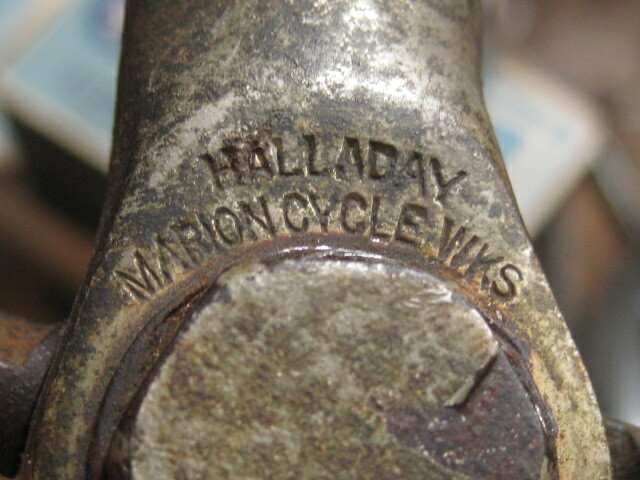 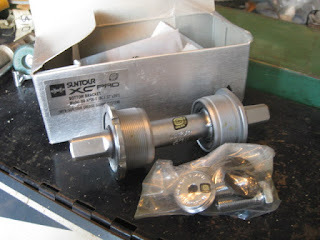 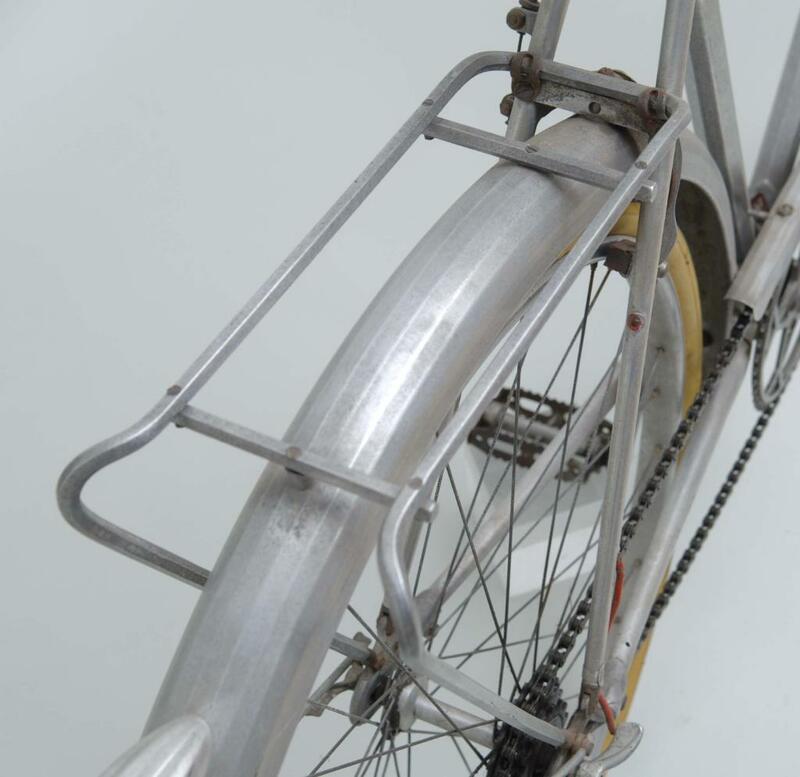 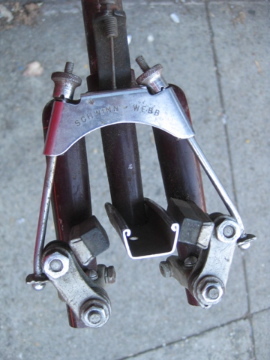 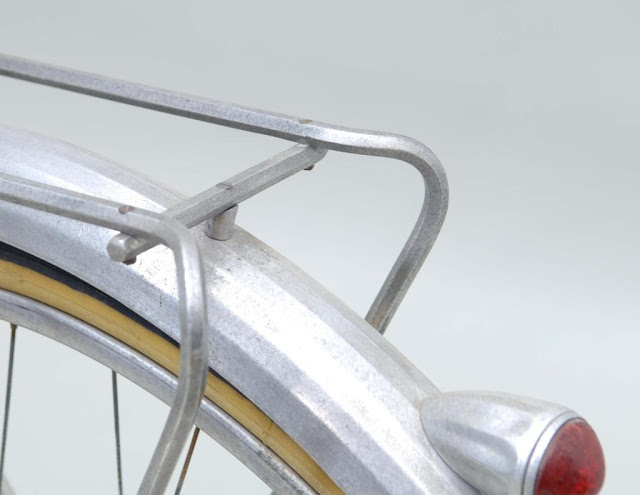 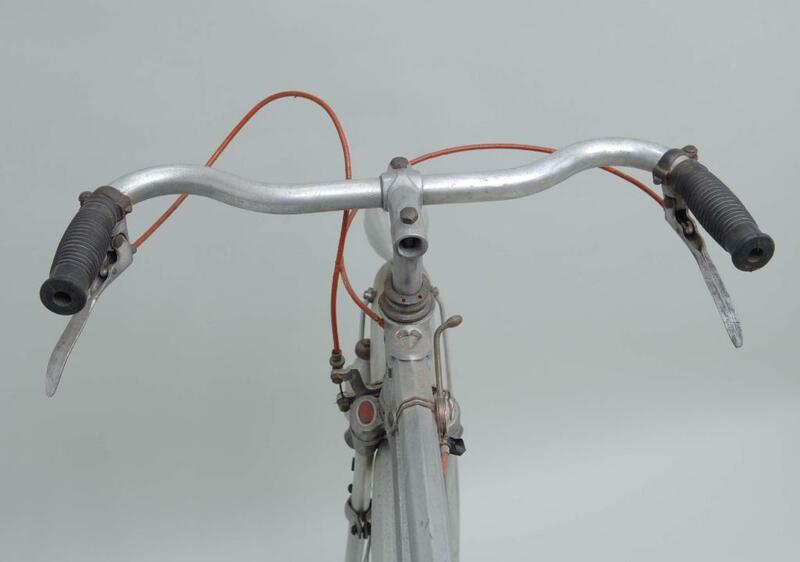 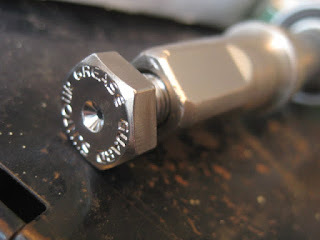 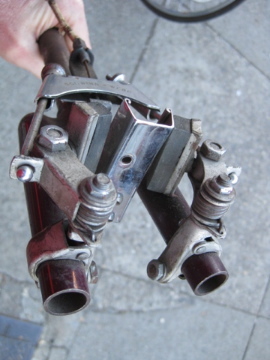 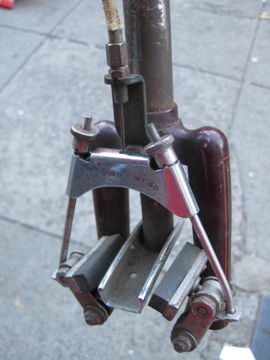 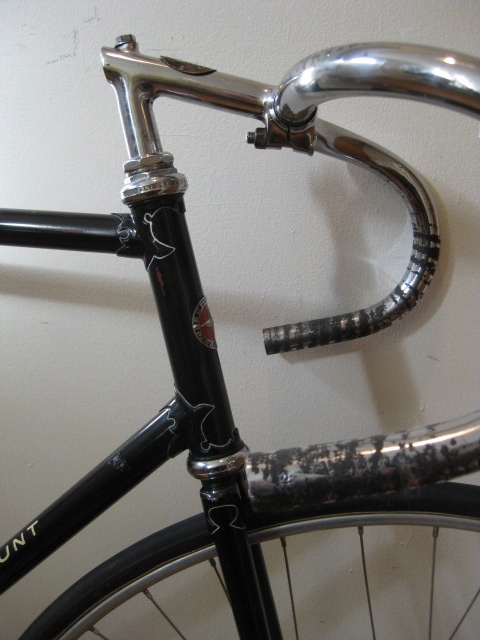 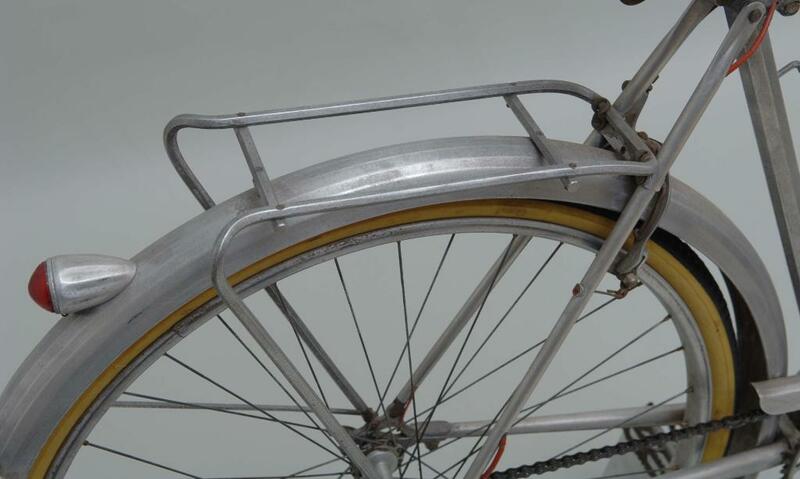 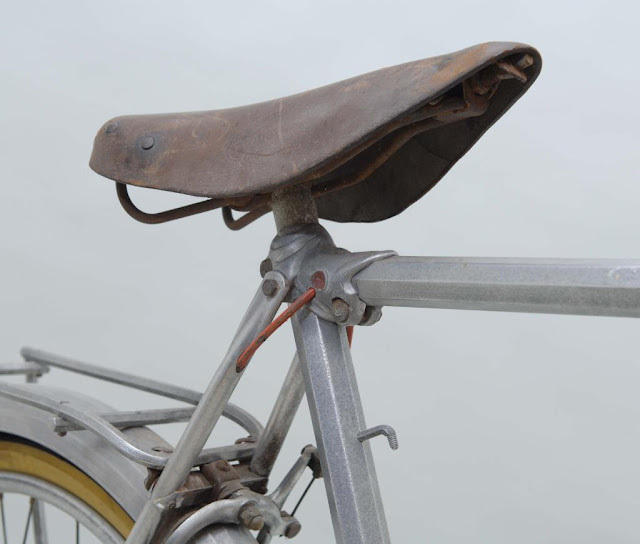 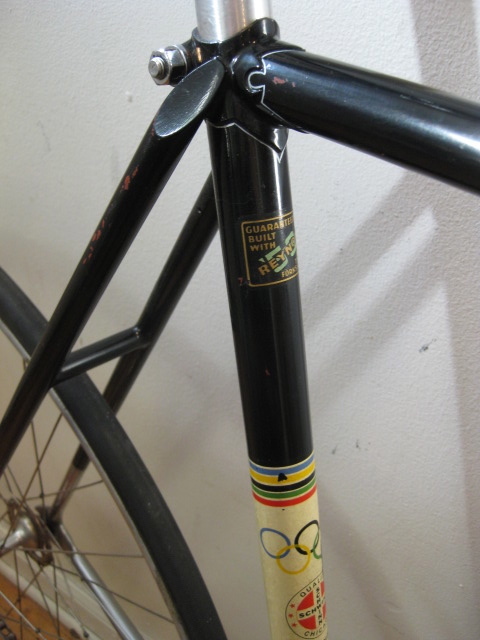 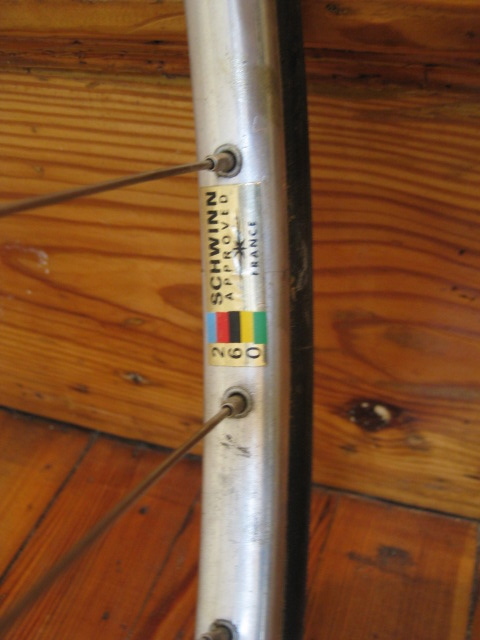 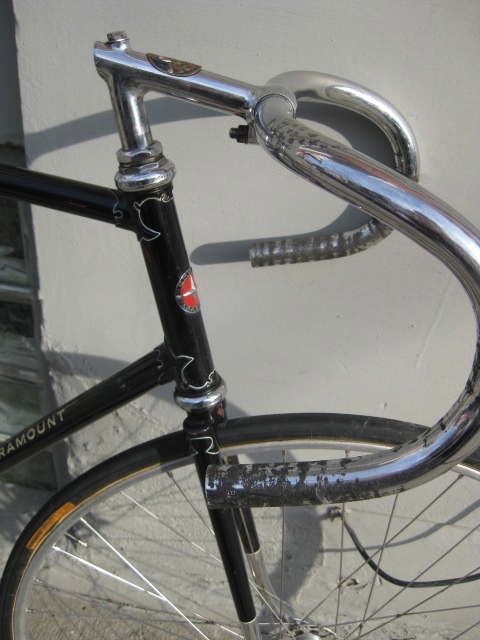 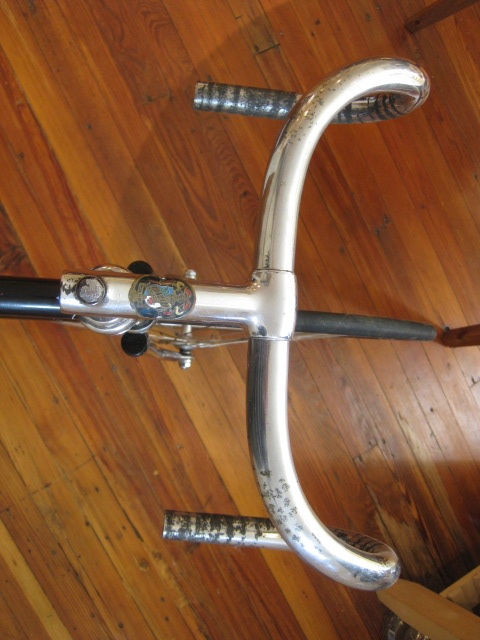 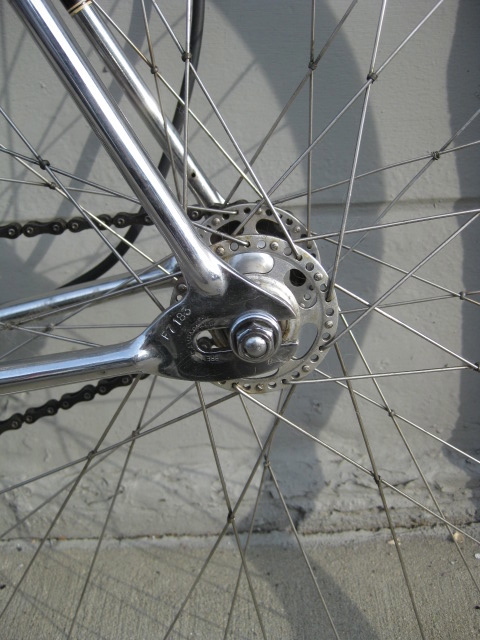 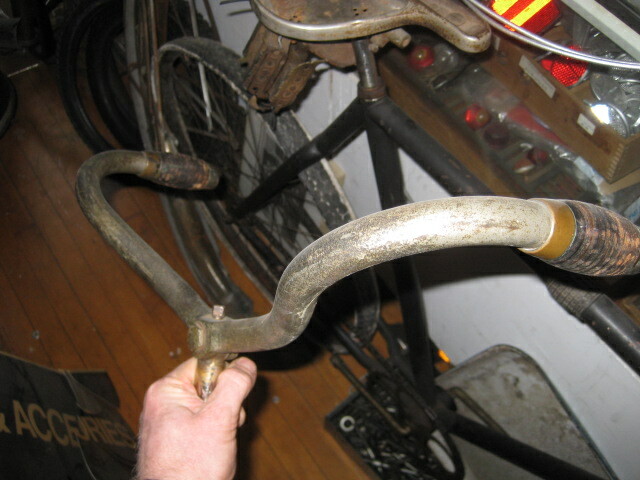 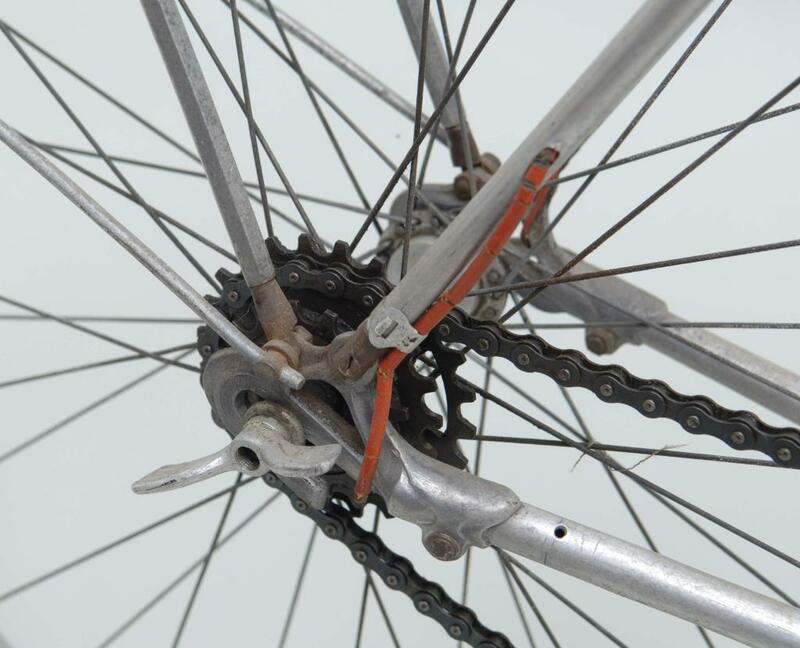 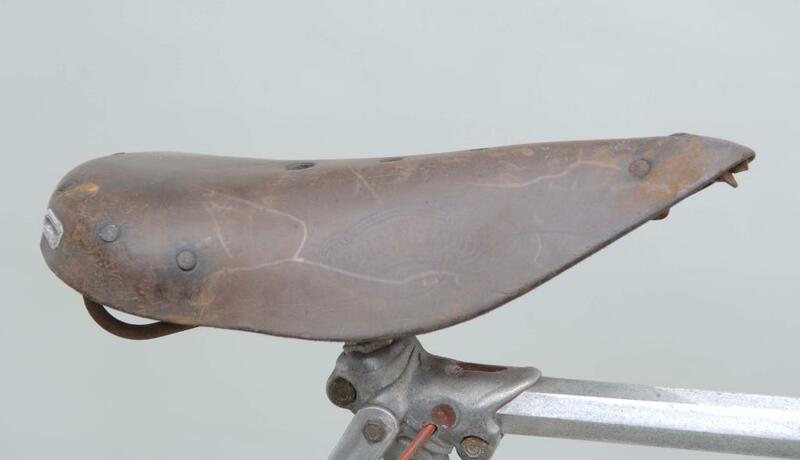 Suntour(japan), in conjunction with Wilderness Trail Brothers(WTB), later used a similar design with their XC-Pro bottom brackets with Grease Guard. The Suntour unit has a hole in the crank arm bolts, the spindle is hollow, and their is a hole on either side of the bearing races. 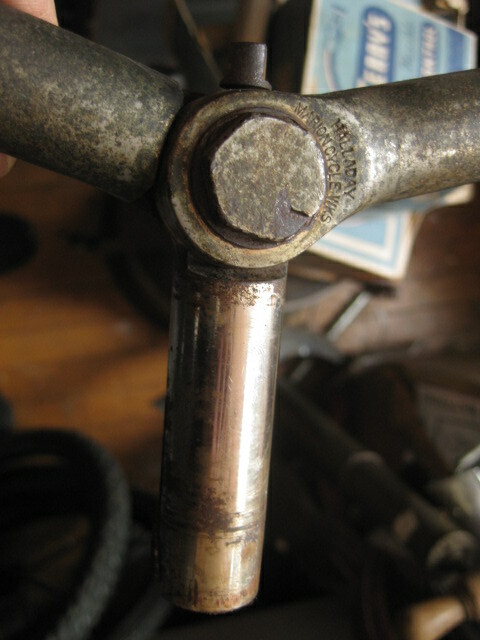 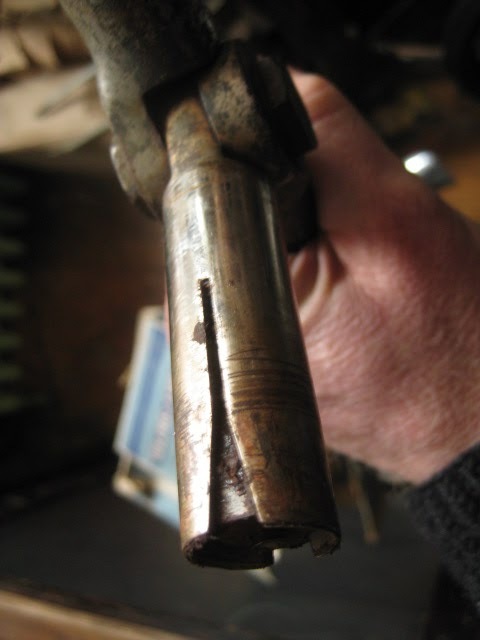 Injecting fresh grease ultimately purges out the old grease.